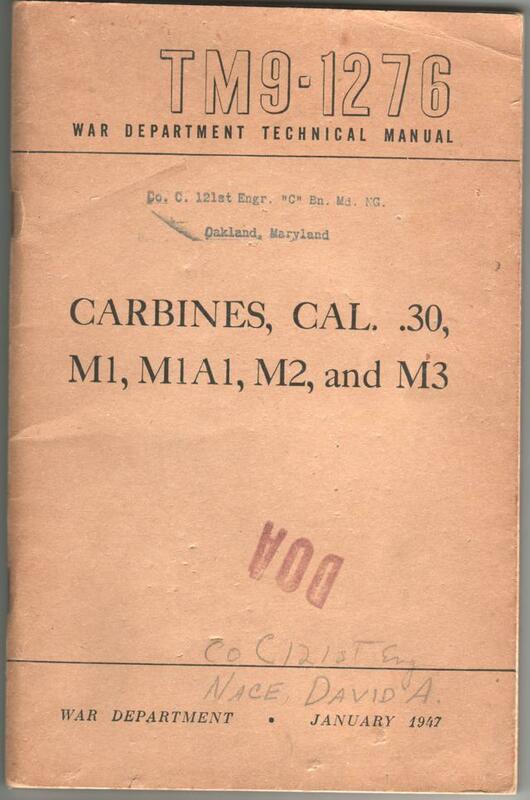 I have several M1 Carbine manuals and reference publications available for sale. For all prices listed below, I accept PayPal, and also checks or money orders. Ohio residents must add 7% sale tax. I am in the Cincinnati area of Ohio. You can reach me through the private message feature on this website, or you can contact me directly at the e-mail address listed at the bottom of this post. Original TB 23-7-1, March 17, 1942 - Good overall condition, with browning from age, and various minor marks. 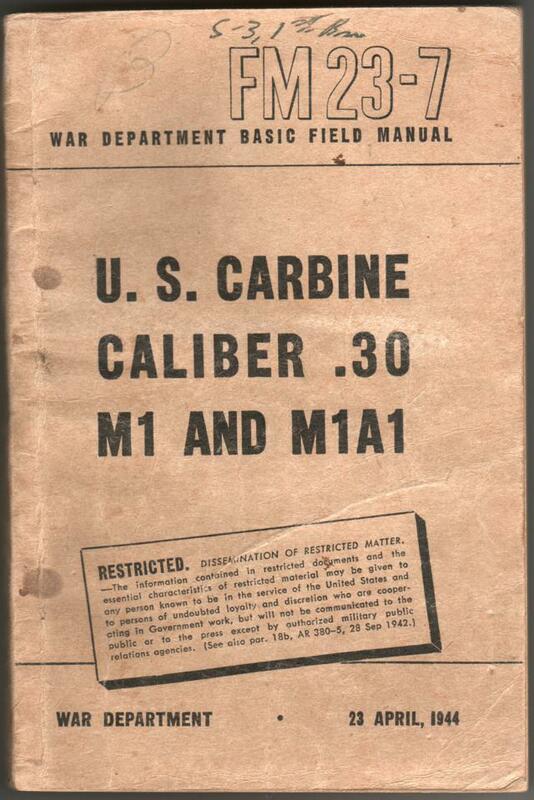 This is the first M1 Carbine manual issued to troops, and it pre-dates FM 23-7, and TM 9-1276. Originals of this manual are getting very difficult to find. $60, plus $3.02 First Class shipping. Original TM 9-1276, January 1947 - Good overall condition, with minor creases, marks, including unit stamps and writing. This manual contains some between the wars information that changes in later editions. It's an excellent snapshot in time. $25, plus $3.21 First Class shipping. Original FM 23-7, 23 April 1944 - Fair + overall condition, with significant browning from age, creases, rubbing marks, written unit marking, and owner stamp within. 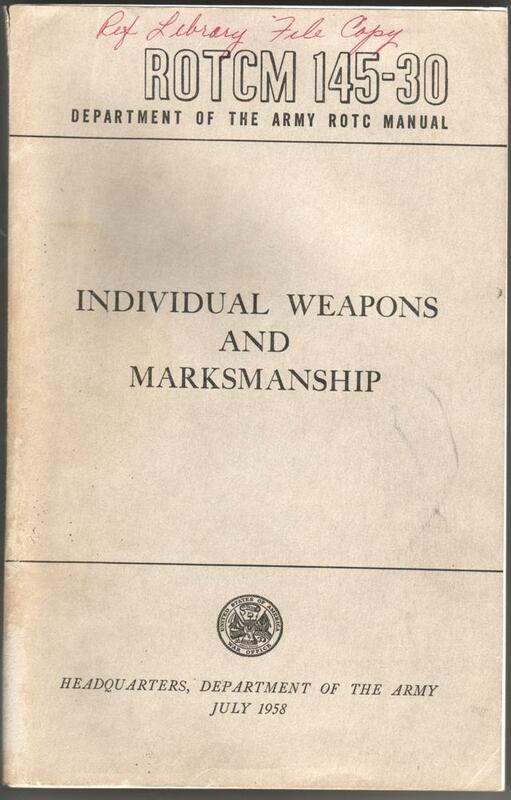 This is a fully intact manual that has seen good use over the years, and will go very well with any M1 Carbine collection. $30, plus $3.02 First Class shipping. Original ROTCM 145-30, May 1954 - Good overall condition, with some minor creases and marks. This is a manual that most never think of in regards to the M1 Carbine, but ROTC used M1 Garands and M1 Carbines, as well as many other weapons, and many are covered in this very well illustrated manual. 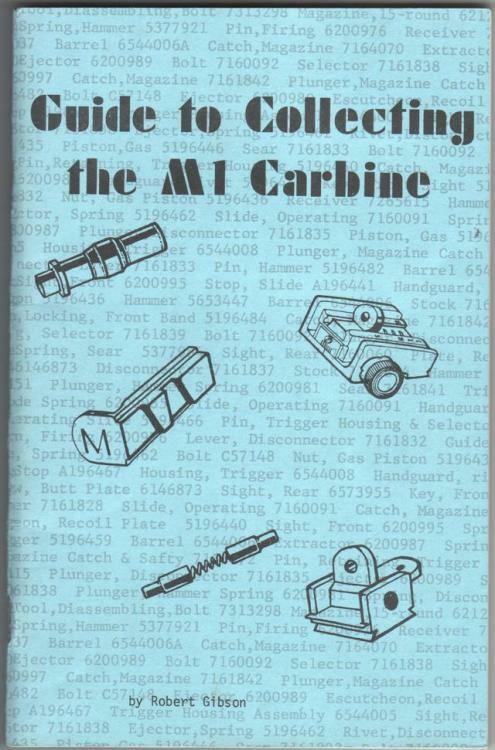 It contains 16 pages on the M1, M2, and M3 Carbines. Here's a chance to add this to your Carbine library at a low price. $10, plus $3.59 First Class shipping. Original ROTCM 145-30, July 1958 - Good condition overall, with minor spine flaking at top and bottom, and minor marks, as well as writing on the front and inside cover. Same as above, but with a little bit more information, including 18 pages on the M1, M2, and M3 Carbines. $10, plus $3.09 Media Mail (Book Rate) shipping. 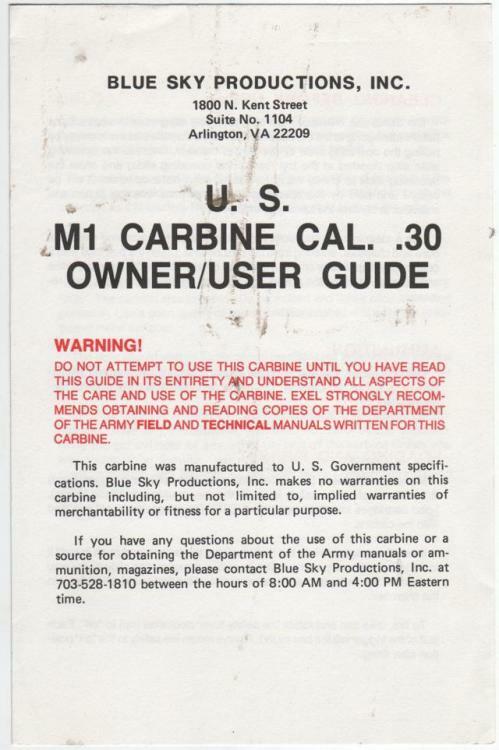 Original Blue Sky Productions M1 Carbine manual - Good overall condition, with some oily marks that can be seen on the front. This is a sheet of paper, folded in half, for 4 total pages of information. If you have a Blue Sky M1 Carbine, then here's an original manual to accompany it at a low price. $3, plus $1.15 First Class shipping. Original 1976 "Guide to Collecting the M1 Carbine," by Robert Gibson - Excellent condition. 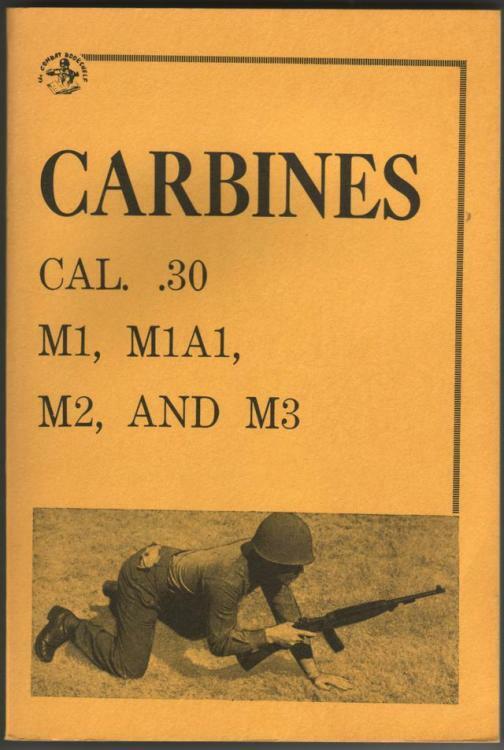 This is the first real collector guide to the minutiae of M1 Carbine collecting, and is still a good guide to take to a gun show. 60 pages long. $12, plus $2.83 First Class shipping. 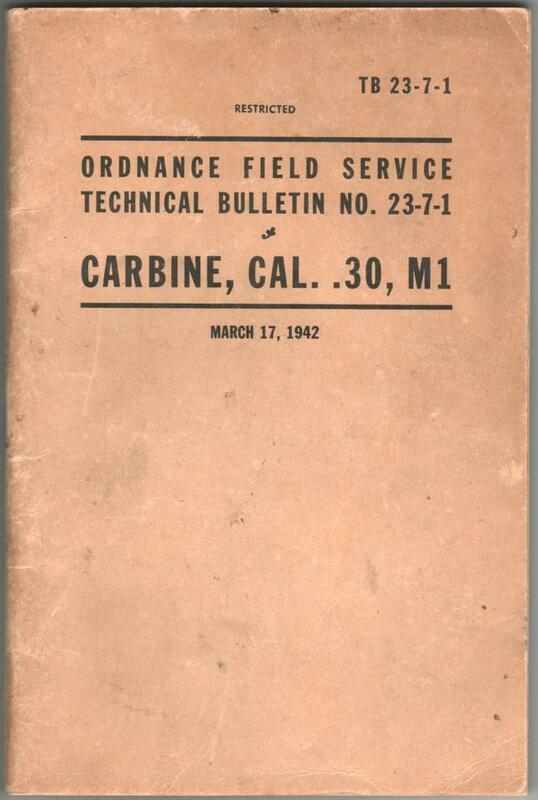 Normount Publications (Combat Bookshelf) publication titled, "Carbines, Cal. 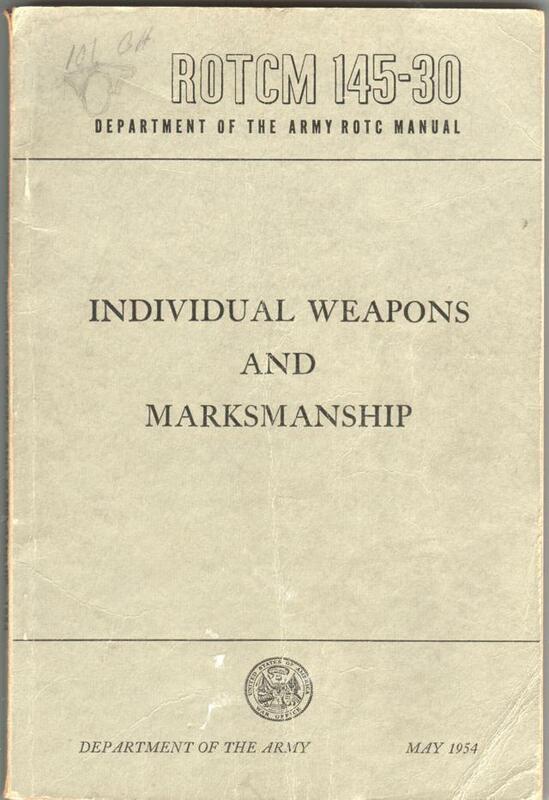 .30, M1, M1A1, M2, and M3, Copyright 1964, Sixteenth Printing, August 1975 - Very fine condition overall. 221 pages long, this is a commercial reprint that includes FM 23-7, and TM 9-1276 content. $8, plus $2.61 Media Mail (Book Rate) shipping. I appreciate your time in looking at these items, and if you have any questions, please let me know.